July 4th. It’s a familiar date. It’s when we celebrate the beginning of our independence as a country. It’s a date that has come to signify freedom, ‘the American way,’ hot dogs, fireworks, and quality time with friends and family. More than anything, it’s a date that offers us a chance to reflect on the beginnings from which our nation has evolved. A chance to remember what it took, what it takes, to be free. Many notable things have happened on July 4th over the years. The most obvious, of course, was when the Continental Congress adopted the Declaration of Independence, dissolving the “political bands” which tied the colonies to Great Britain. On July 4th, 1776, the United States of America became a reality. Another momentous event occurred on July 4th, 1777. 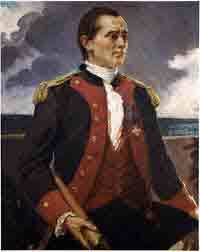 In Portsmouth, New Hampshire, a Scot by the name of John Paul Jones had taken command of a Continental warship. Basically, Jones was given free rein to wage guerilla warfare using his ship against the British. A strongly independent man (Scottish folks aren’t known for being timid), fighting for a newly-independent country, against the most powerful navy in the world at that time…with one ship. Talk about guts. Before he and his crew got underway, they hoisted a flag aboard Ranger. It wasn’t the “Don’t tread on me” flag, nor was it any version of the Jolly Roger. And, of course, it wasn’t the U.S. Navy flag we know today. The flag they hoisted was the symbol of our new nation. It was the first time our Stars and Stripes flew on a United States warship. 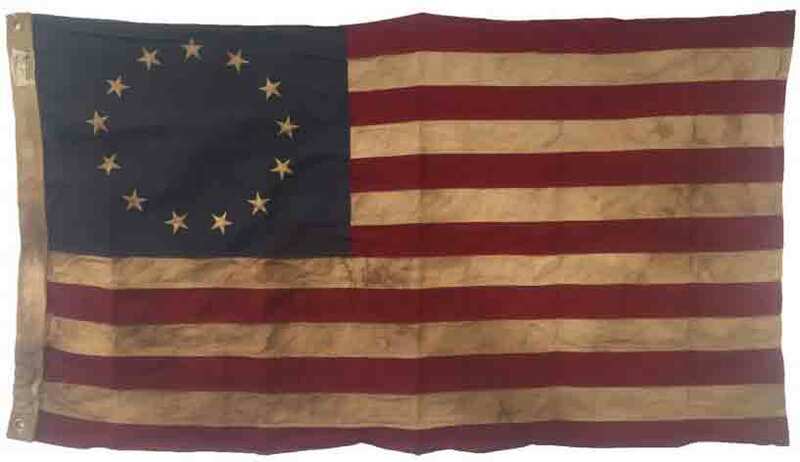 The Stars and Stripes, as designed by Betsy Ross, was hoisted on the sloop-of-war Ranger, making her the first American warship to carry the flag. We’d already told Great Britain and the world, through the Declaration of Independence, that we were a free people. But Jones and his crew lifted the symbol of our freedom to greater heights. They carried the Stars and Stripes into battle on the high seas. And, not only was the Ranger the first ship to hoist our new nation’s colors, she was also the first ship to receive official recognition of our flag from a foreign government. 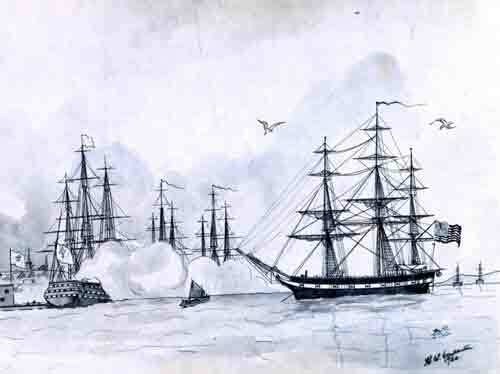 After her first transatlantic voyage, and while being refitted in France, Ranger and her crew graciously received official honors to the American flag from the French navy. France became the first foreign government to recognize the United States as a sovereign power. USS Ranger receives the first recognition of the American flag by a foreign government on February 14, 1778; Quiberon Bay, France.